Coming to Singapore with your entire extended family or your company is planning an outing for all their staff? 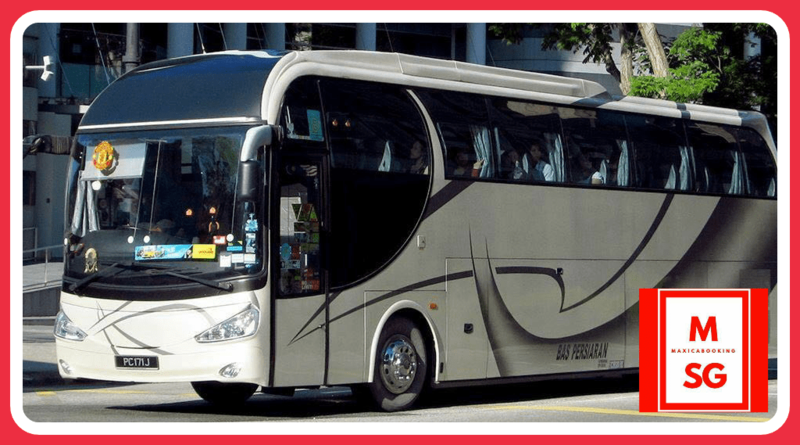 If you’ll be travelling together and all at the same time and destination, then it would make more sense to acquire the services of a 20 seater coaster or 44 seater coach bus. MaxiCABooking SG renders the best and the most efficient transportation services in the country, as promised 1 Portal, 1 Hotline with state of the art fleet not just from Limo CAB, Maxi CAB & Mini BUS but big coach buses too to suit our customers travel needs. Plus all our vehicles are well maintain both for engine wise and also vehicle interior cleanliness to assure our customers travels in total comfort to their destinations. Customers never have to worry in regards to whether their itineraries would go smoothly as planned as we’ll monitor and make sure our drivers arrived at pick up location earlier than scheduled. We assure customers won’t be the one waiting at the airport for their pick up as our driver will monitor flight landing time and be on standby at the airport ready to go when all the passengers have collected their luggages. Be Driven in Comfort and treated like VIPs when you acquire our services to get you around the city without the need wait and queue for other public transportation. The buses are all well maintained and comes with spacious interiors which are perfect for big groups with up to 40 people. The buses also comes with a large luggage compartment – for average 1 big luggage per person. We could also provide a luggage van if required in case more luggage space are needed. Passengers do not need to look for any other means of transportation from other company to get around the country on their own free time as we have smaller categories of vehicles to cater for smaller group outings too. Plus if customers have plans to visit the neighbouring country Malaysia, we also provide across the border transfers to it’s popular tourist destinations such as Legoland, Hello Kitty, KSL and many more. Our bus charters services are not just catered to tourists, locals too can enjoy our value for money packages and rates. Sentosa Island – Singapore’s historic island, with lots of family whole day activities available. Orchard Road – Where all the popular shopping malls and quality branded goods are. Singapore Flyer – Enjoy part of Singapore scenery on this 30 min giant ferris wheel. Universal Studios Singapore – Roller Coasters, Castles, 3D rides. Be prepare to spend whole day here. Buddha Tooth Relic Temple and Museum – One of the oldest and historic temple situated in the heart of Chinatown. Night Safari, Singapore – Meet face to face with the night prowlers, animals shows available at different timings so catch them all. For more information on other Attractions and Places to visit in Singapore, do call our operator for suggestions to be included in your vacation itineraries. For type of services, packages and rates that the company offers, you can visit our website for the best deals in Singapore. This entry was posted in maxi cab and tagged 20 seater bus, 23 seater bus, 30 seater bus, 40 seater bus, 44 seater bus, 45 seater bus, bus charter, bus company, bus services, bus shuttle services, coach bus, coach bus services. Bookmark the permalink.